Stick To Google Adsence Policy And Make More Money. Google adsence is a free program introduced by the number one world wild website Google, to appreciate and encourage web developers, at least to an extent of paying their internet bills and also fund their research sources, and not a get rich quick platform. Web developer’s look up to this, as a means of authentication from Google, and actually it can be frustrating if one keeps on being rejected for some certain errors, infact most developer quit blogging and some others buys adsence, so then the approval into adsence now seems to be the begging of most of our young web developers. One thing is to get approved, and another is to gather audience, that will read and click and click through your pages and Google serving ads for to generate income. For me blogging is all about goal orientation, such as keep on doing it, until you get it right. Like I know for sure it will get right some day. Now there are rules and guidelines guiding adsencs program, but we never worry to read through these lines, and even if we do, at the end we will all click I agree, even when the rules are against us, the reasons been that we focus more on dollar earning generated by our ads, which we have calculated and compare in our various local currency and it seems so big and then becomes an openings, leading most developers to violate some rules on Google serving ads. Well I have not seen such happening I only heard of this incidence about certain people complaining that their adsence was withdrawn from them and then I decide to put to more clear and simple writing, some of the risk involved in violating Google adsence rules. Also to outline parameters to watch out for, and be conscious while using Google adsence. Disclaimer: This section is a cut copy of AdSense program policies. As stated on the policy, publishers may not click their own ads or use any means to inflate impressions and/or clicks artificially, including manual methods. Clicks on Google ads must result from genuine user interest. Any method that artificially generates clicks or impressions on your Google ads is strictly prohibited. These prohibited methods include, but are not limited to, repeated manual clicks or impressions, automated click and impression generating tools and the use of robots or deceptive software. Please note that clicking your own ads for any reason is prohibited. · Compensate users for viewing ads or performing searches, or promise compensation to a third party for such behavior. · Encourage users to click the Google ads using phrases such as “click the ads”, “support us”, “visit these links” or other similar language. · Direct user attention to the ads using arrows or other graphical gimmicks. · Place misleading images alongside individual ads. · Place ads in a floating box script. · Format ads so that they become indistinguishable from other content on that page. · Format site content so that it is difficult to distinguish it from ads. · Place misleading labels above Google ad units. For instance, ads may be labelled “Sponsored Links” or “Advertisements”, but not “Favorite Sites” or “Today’s Top Offers”. Google ads may not be placed on pages receiving traffic from certain sources. For example, publishers may not participate in paid-to-click programs, send unwanted emails or display ads as the result of the action of any software application. Also, publishers using online advertising must ensure that their pages comply with Google’s Landing Page Quality Guidelines. · Integrated into a software application (does not apply to AdMob) of any kind, including toolbars. · Displayed in pop-ups or pop-unders, including where a page containing Google ads, search boxes, or search results is loaded in a pop-up or pop-under. · Placed inside emails, or on pages where email messages are the primary focus. · Placed on pages where dynamically-generated content (such as live chat, instant messaging, or auto-refreshing comments) is the primary focus of the page. · Obscured by elements on a page. · Underneath or adjacent to buttons or any other object such that the placement of the ad interferes with a user’s typical interaction with the app or ad. · Placed on pages published specifically for the purpose of showing ads. · Placed on pages whose content or URL could confuse users into thinking it is associated with Google due to the misuse of logos, trademarks or other brand features. · Placed on, within or alongside other Google products or services in a manner that violates the policies of that product or service. This is the total number of pages views by your visitors, this factor is very important for a site as you will also testify with me it may be an error if someone has a hundred page views and earn $10 per day. In Google Adsence, an impression is counted for each ad request that returns at least one ad to the site. It is the number of ad units (for content ads) or search queries (for search ads) that showed ads. In Google Adsence Page RPM is equal to the Estimated earnings divided by Number of page views multiply by 1000. For example, if you earned an estimated $0.15 from 25 page views, then your page RPM would equal ($0.15 / 25) * 1000, or $6.00. How long was the ad visible? Estimated earnings, which are visible in your Performance reports, reflect close estimates of recent account activity. These reports show estimated earnings to offer a close estimate of recent account activity as soon as possible. However, these earnings aren’t finalized until the end of the month and won’t necessarily reflect the amount you will ultimately be paid. Finalized earnings are accurate earnings amounts that include all revenue you will be paid for validated clicks and impressions. These amounts are equal to the current balance found on your “Transactions” page. After our earnings records are processed and verified by the 3rd of the month, your current balance from the previous month is posted to your “Transactions” page and to the “Finalized earnings” section of your Home page. So in essence assuming , you get 5 clicks out of 500 ad impressions, your CTR would be 1% (5/500X100). This is the Cost per Click revenue you earn each time a visitor clicks on your ad. CPC therefore is determined by the advertisers. In some competitive niches like finance, marketing, online products etc. advertisers may be willing to pay more per click than others. Sometimes advertisers opt for CPM ads instead of CPC and set their price for 1000 ad impressions. And they pay each time their ads appear on any website. My question now is ….What does It Takes To Make $100 A Day With AdSense ? This is very simple from my calculations, when your CTR is 1% and your average CPC is $0.25. it’s quite achievable to make $100 dollars a day, and lots of people are doing it. Let’s assume that a Page View = An Ad Impression. So then to make $100 everyday you need 40,000 Page Views/day Or, 400 Clicks a day @ 1% CTR and $0.25 CPC. For 40,000 Page Views you have to produce at least 500 awesome articles on your website. These pages must attract at least 80 or more page views every day very simple. I encourage you with this little article to work even more had surely, you will earn good with your adsence, make sure to stay away from violating the Adsence policy. 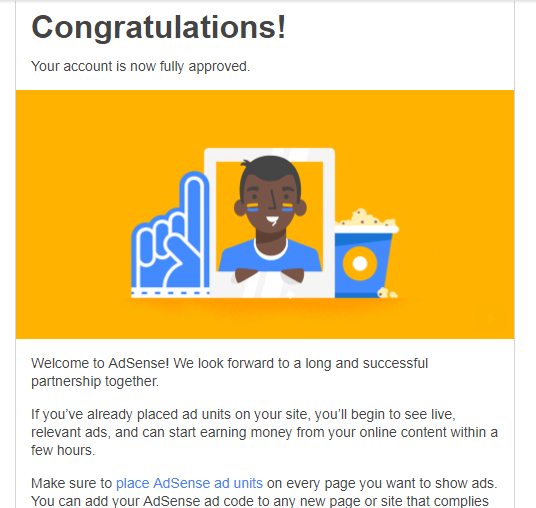 Things To Watch Out For, When Adsense Reject Me? Usefull info…. The last section highlights clearly how much content and traffic you need as a guidline. 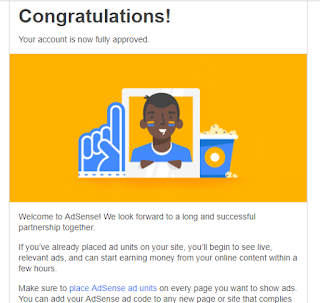 I used to apply for Google Adsense for my blog but was rejected. Till now I don't retry for more. I think I need increase my blog traffic with natural and organic ones..
traffic has nothing to do with you adsense approval … good and original contents matters alot to google.